When constantly faced with the supposedly perfect women in Hollywood and on film/TV, it’s easy to start thinking less of how we look. When we see ourselves without the airbrush make-up, hair stylists, and Photo shopping used on these women, we may start to feel less-than beautiful, or even ugly, because we don’t have a perfectly flat stomach…or our hair never gets to that perfect curl…or our legs are too short…or our bust isn’t as full as we’d like…or…or…or… This can be a dangerous slippery slope, caused by the unrealistic beauty standards shown to us every day. Well, a lady by the name of Taryn Brumfitt is looking to change all this. 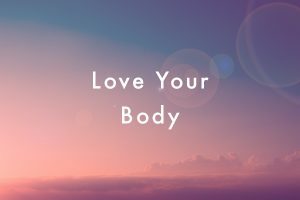 She is producing a documentary called “Embrace” that asks all women to embrace their beautiful, unique, and perfect bodies. You can see Taryn’s amazing story here. And below you will find the preview of her upcoming project. You’ll be grateful you watched it. It might just make your day. (Warning: This video contains some images only suitable for mature audiences).